The company's production plants across the United States make an expanded family of quality food products found every day on the dinner tables of millions of consumers, as well as in well-known restaurant chains nationwide. In the spirit of innovation and quality, our experienced team of creative culinary professionals are committed to success and meeting the needs of our foodservice customers by offering delicious food products in an impressive variety of convenient single-serve pouch and cup sizes, as well as bulk packaging. 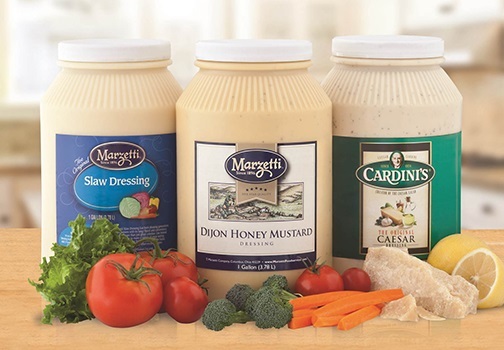 For more information, visit marzettifoodservice.com.